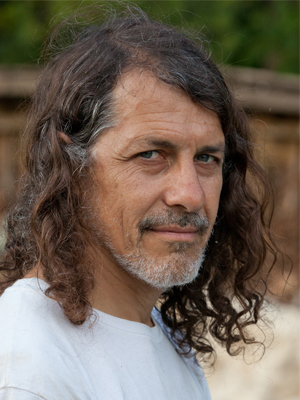 Actor, Ensemble Leader & Puppeteer at Double EdgeTheater (Ashfield) An actor & puppeteer from Argentina working at Double Edge Theater since 1996, Carlos Uriona co-founded the theater’s annual summer series of Indoor/Outdoor Traveling Spectacle performances in 2002. Previously Carlos served as Managing Director at the Clarence Brown Theater in Tennessee. He founded & acted in the award-winning Argentine puppet theatre, Diablomundo. Carlos organized groups of self-managed actors and artist cooperatives as his contribution to the Argentine fight for freedom during the military dictatorship from 1976-1982. Carlos is a recipient of many accolades & awards, including the Doris Duke/Andrew Mellon/TCG New Generations Mentorship Award.